Neue Ziel means "new goal" in German. The AMA-002 (or AMA-X2) was one of the most heavily armed Mobile Armor in U.C. 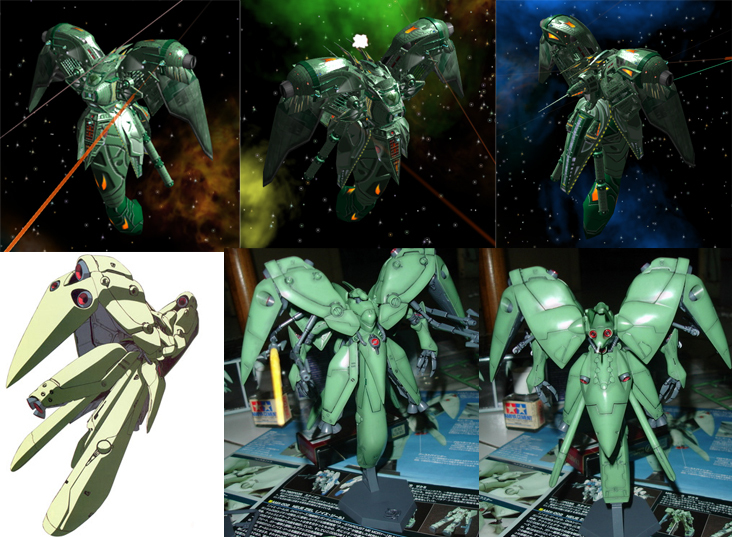 Piloted by Anavel Gato from Mobile Suit Gundam 0083 Stardust Memory or Afterglow of Zeon. 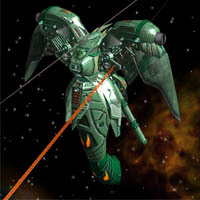 Manufactured by Axis and deployed by Delaz Fleet to defend the "Operation Stardust". Successfully crippling out the Earth Federation's RX-78GP03D Gundam Dendrobium. Singlehandedly piercing through the heavy defenses of the Earth Federation Forces and decimate the Earth Federation's pursuit fleet. More instructions of installation and requirements are inside the readme.txt.